By now, you’ve probably read several summaries of the recent T3 Advisor Conference in Denton, TX—and chances are, you were still left scratching your head. That’s not surprising. I was there, and my experience was a wash of announcements about things like facial recognition, virtual reality and AI, and updates on big data, APIs and optimizing the client experience (without any clear definition of what that means)—all things that were undoubtedly breathtaking to the competitors and meaningful to the insiders in the advisor tech space. But these announcements and many of the presentations did a poor job of connecting to what advisors actually want to know: How does this affect ME? Does this signal a trend that I should be aware of? Is there something better out there than what I’m using now, and is it enough better that I should consider switching? So here, I’m going to provide a more organized, down-to-earth view of what seems to be happening in the world of tech providers. Fair warning: I’m going to be leaving stuff out that was announced by major sponsors of the conference, because I don’t (perhaps yet) see how they’re actually relevant to your day-to-day activities. 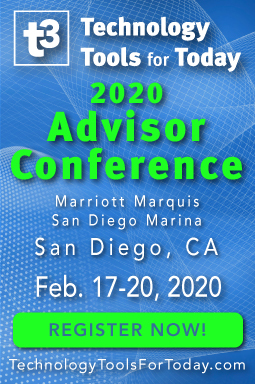 And I’m going to be including visits to sponsors in the deep back corner of the exhibit hall, who didn’t have the budget to make a splashy announcement or give a keynote address, but who present interesting opportunities for advisors who are focused on offering great service to their clients. To make it more entertaining, I’m going to organize this in a “winners and losers” format. Going into T3, you might have wondered: what else is there to do with financial planning software—other than, well, create a financial plan? The answer is: you can migrate downscale and make the planning process more time-effective so advisors can offer planning, profitably, to less wealthy/complicated clients. You can go upscale and make planning more intuitive and relevant to the ultra-wealthy. You can bolt planning capabilities onto other types of software, or use a planning tool to tie together highly-specialized analytical tools. 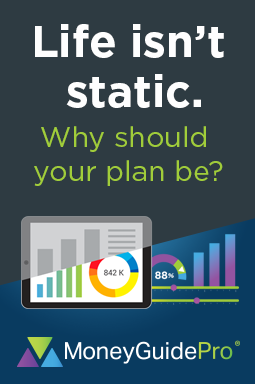 And you can put planning capabilities on your website in a user-friendly format, so prospects can play around with their own plans and have an idea of what their financial life should be before they ever walk into your office. Where to start? Let’s begin with two announcements from Orion Advisor Services (the asset management service provider that aspires to be a platform; and Riskalyze (the risk tolerance software provider with similar aspirations. Orion has teamed up with Boston-based FinMason (which provides very sophisticated investment analytics behind the scenes for various of the T3 vendors to offer a “Five-Minute Financial Plan.” The planning program will be housed on Orion’s client portal, so clients can not only check their investment performance, but also see whether they’re still ontrack toward their financial goals. This is NOT sophisticated planning, but that exactly fits one of the aforementioned themes. Software vendors seem to believe that most clients are not impressed by, or interested in, the detail of a comprehensive financial plan. What they really want to know is if they’re making progress toward financial self-sufficiency, and to be able to put their progress into context. Orion’s planning-related performance statement may introduce another new trend that makes perfect sense; clients of the future won’t just check their balances after a nasty market downturn; they’ll also check how that downturn impacted their plan. (The market went down 20% in December. Am I still on track to be able to retire, if I want to, by age 65?) It’s unclear how this will mesh with an advisor’s more sophisticated software. After a major market event, will the FinMason Five Minute plan on the website show the same retirement sufficiency score as MoneyGuidePro or eMoney? What would you do if their answers were different? The Riskalyze announcement, and accompanying keynote presentation, focused on something called Timeline, which is a graphical financial planning program built into the risk tolerance software. Here again: nothing fancy. The program mostly consists of a graph that shows the client’s total assets, year by year, based on simple inputs like current portfolio balances, future contributions and estimated rate of return. You and the client insert different costly events onto the timeline, and watch to see whether the total asset value crashes and burns before the expected date of death. On the left side of the page, insert retirement at age 70, and specify the inflation-adjusted expenses that will need to come out of the portfolio. Insert childrens’ college expenses at your age 55, for four years, and the projected costs—and watch the future year-by-year value of the retirement portfolio take on a new trajectory. Do you run out of money, or not? If not, add a boat or vacation home, or various trips to Europe. What happens to your retirement assets then? Riskalyze will tell you that this is a stress-testing tool, adding another dimension to the company’s risk tolerance features. If the client enters his/her goals and the future projection crashes and burns, then perhaps he/she would be tempted to raise the risk tolerance score from a 40 to a 60. That implies a different portfolio mix, a different return assumption, and another assessment of portfolio sufficiency. But make no mistake; advisors will use Timeline to show clients what they can afford in retirement, and I suspect that at least a few of them will be happy with no additional analysis. Is planning-lite indeed a trend? At the eMoney Advisor booth, advisors were given demonstrations of a new “Foundational Planning” module that advisors can use with uncomplicated planning cases and with clients who don’t want a deeper analytical experience. That looks like a trend to me, and it tells me that the profession is poised to revise its cost structure and start marketing to the blue ocean of clients who aren’t candidates for the AUM revenue model. If so, this sudden plethora of planning-lite instruments is the first indicator of bigger changes to come. 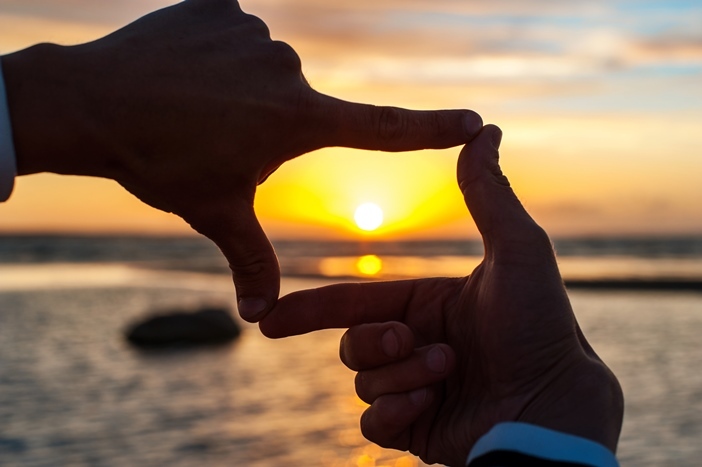 Another trend may be telling us that planning clients want a different kind of planning experience than the traditional goals-based sufficiency approach. You may have never heard of Covisum software, but it emerged with some fanfare at T3 and opened some eyes. Covisum CEO Joe Elsasser has focused on building a software company that fills in the niches: that, is, it provides deep analysis in areas that most financial planning programs only touch on, if at all. Suppose, for instance, that you want to help clients figure out their Social Security claiming strategy, which is surely a bigger value-add than picking great ETFs for their portfolios. Covisum’s Social Security timing tool is a graphical, highly-intuitive way to evaluate just about every available Social Security option on one page; in my mind, best of breed in this important area of planning. Or maybe you want to provide detailed tax planning. Tax Clarity is considered by many to be a better and more intuitive tax planning tool than what BNA offers, and in this day and age, tax planning is becoming a more important value-add than asset management. And it, too, is given only passing attention by other planning tools on the market. Speaking of asset management, maybe one or two of your clients are worried about downside risk after last December. Covisum’s third program, called SmartRisk, offers a way to evaluate (and interactively change) the downside potential of any client portfolio. In the past, the objection to this toolkit was that they were all standalone products, with limited integration. If you changed someone’s Social Security claiming strategy, that information would find its way into your Tax Clarity calculations, but not into SmartRisk. Reduce the downside volatility of a client’s portfolio, and you had to redo your Tax Clarity calculations. Not anymore. At T3, Elsasser introduced Income Insight, which provides very basic retirement planning for clients, and then integrates this information across Social Security Timing, SmartRisk and Tax Clarity—basically taking the three programs and making them into a fully-integrated planning tool that goes into deep depth in areas where most software only scrapes the surface. This is a different way of thinking about planning, addressing the pain-points directly and at a deeper level than the profession has been able to before. But there’s a tradeoff. Covisum doesn’t offer some of the traditional planning analysis: there is no module for estate tax planning, college savings, or disability. While we’re rethinking how to provide financial planning advice, I’m going to mention a program that was not at T3, but should have been. Several of the vendors at various booths told me that they integrate with a very unusual planning software program called Asset-Map—including Redtail, Orion, Riskalyze and Salesforce. Your value-add with Asset-Map comes right up-front in a collaborative planning effort; each client starts with a blank pre-formatted mind map, elegantly formatted with little boxes that cover every possible type of asset or planning need. You and the client fill in the boxes, and the client comes away with a graphical picture of his/her entire financial picture. All those blank spaces virtually force you to cover all the bases, and if you don’t the client might remind you: What are those boxes for? Why haven’t we filled them out? There’s a variety of boxes for income sources, another cluster for investment assets (each gets its own box, with name and values, and you can add more), another for insurance coverage, another for tangible assets like the family home and a second home, another for liquid funds like the checking and savings accounts. Asset-Map also illustrates another trend which will be fleshed out in a moment: clients doing some of their financial planning on your website—by themselves, for free. Asset-Map features a new “Discovery” feature which lets clients map out their total financial picture in an intuitive way on your website, and then get some retirement cash flow analysis, before they ever come in to visit you. And (following the trend toward “planning lite”) the program’s primary output is a future cash flow projection based on a client’s age, income, assets, goals and retirement date. Nothing fancy; the value proposition is in the mind map interface. With Asset-Map, the initial client conversation is likely to be richer and more comprehensive—with everything laid out in a neat graphical format, so that clients will have an intuitive, clear way to understand their total financial picture. I mentioned the lower (less wealthy) end of the spectrum in my “planning lite” comments. But some firms are also moving in the opposite direction: creating software designed to help you provide planning services to the one-tenth-of-one-percenters. The announcement that stole the T3 show was actually at three announcements in one joint presentation. Envestnet, the investment platform, already features what some might consider a “planning-lite” program in Envestnet Logix. At a T3 keynote session, the company announced that it is adding two new planning tools to its platform. One is an enhanced integration with MoneyGuidePro, so advisors will have a tool that is appropriate for mainstream planning clients. The integration also pulls client portfolio data (assuming they’re invested on the Envestnet platform) seamlessly into the planning program, but that’s really nothing special; MoneyGuidePro has integrations like that with Orion, Black Diamond, PortfolioCenter and others. From here, the tangle of announcements gets somewhat complicated, but I think I can unravel them for you. Up on stage steps Edmund Walters, the former advisor who created eMoney (launched in 2000) and eventually sold it to Fidelity four years ago. Walters has emerged from his non-compete with a new joint venture with Envestnet and also MoneyGuidePro: a new planning software program for the ultra-wealthy. This gives Envestnet three tiers of planning capability, from lite-ish (FinanceLogix), to mainstream and sophisticated (MoneyGuidePro), to the software produced by Walters’ new Apprise Labs (http://www.appriselabs.com/), which addresses the needs of the sort of clients who have to worry about reducing their federal estate tax bill. This is not a huge market by raw numbers (the estate and gift tax exemption is currently $11.4 million per person, plus portability of the deceased spouse’s unused exemption), but there will be advisors who would like to have better tools for addressing the specialized needs of the multimillionaire crowd. And the software looks pretty neat. There’s a nifty scenario tool that helps wealthy clients decide what kind of trust to use for what kinds of situations—and roughly a third of Walters’ time on stage was talking through the various uses of a trust in dysfunctional and mixed-marriage families. There is a tight integration with Envestnet’s client portfolio data, with ways that advisors could click through to see the numbers, calculations and even the investments behind the recommendations. The software also models sophisticated estate planning techniques, including charitable options. 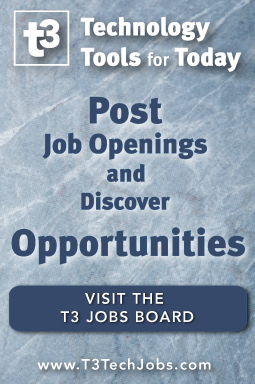 If you read the T3 reports immediately after the conference, they tended to focus on how Walters was creating a competitor to his old eMoney firm. I don’t think that’s accurate—for two reasons. It’s more correct to say that Walters’ Apprise Labs has created an entirely new category (or tier) in the planning software world: a tool that allows advisors to address the ultra-sophisticated planning needs of people who haven’t been traditional planning clients before. The only thing I’ve seen that’s comparable in this category is Bob Keebler’s spreadsheet-based software tools, which are primarily marketed to CPA tax and estate planners and the community of estate attorneys. And (second reason) there was no indication that Walters wants to create standalone software and sell it from a booth next to eMoney, MoneyGuidePro, Right Capital or Advyzr. Instead, the business plan appears to be to create a niche capability that will be offered through other platforms—like, in this present case, Envestnet. And of course, if you’ve read this far, there is precedent for this right there in the T3 announcements: Orion bolts on FinMason’s Five Minute Financial Plan. Why not also add an Apprise Labs module? The logic—and I think it’s sound—is that most advisors don’t target people with more than $25 million in assets as their core clientele. But they might have one or two clients who fit that profile. Or perhaps they want to be able to start marketing themselves more aggressively to this narrow demographic niche. These planners can now access Apprise Labs’ higher-scale analytics through their platform provider—which would be preferable to buying and maintaining standalone software that is only relevant to one or two clients. On the other end of the integration, the platform provider wants to give any support it can toward helping its advisors bring in $25 million in household assets. The key to success here, for Walters and advisors who want to use his software—is the interface. If you’re going to use a particular tool just once or twice a year, you don’t want to have to spend a lot of time learning how to use it. Right? I’m happy to report, from the demo I received and a conversation with Walters before he went up on stage, that a LOT of effort has been put into making the program simple to learn and use. And remember, this is not comprehensive planning software; it focuses on estate planning and trusts—on the theory that most clients with eight figures in investible assets are not extremely worried about whether they’ll be rendered broke in their 80s by sequence-of-returns risk. 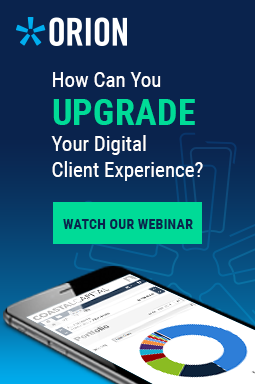 Advisors will view the new ultra-high-end software as a complement to their traditional planning program, and I don’t think it will take more than half an hour to learn how to use it. Speaking of traditional planning programs, where is MoneyGuidePro in all this? This was the third part of the tripartite announcement that stole the T3 show, and to my mind, it may have been the most interesting for mainstream planners. Before the conference, PIEtech (MoneyGuidePro’s parent company) had announced upgrades that would extend the program’s reach both downscale and upscale. MoneyGuideOne meets the new “planning lite” competition from eMoney’s Foundational Planning product, the Five Minute Financial Plan and TimeLine, plus more established middle market offerings from Advizr and FinanceLogix. Newly-announced MoneyGuideElite, meanwhile, is designed to help advisors work with more complex client situations, featuring an interactive future income modeling tool that allows clients and advisors to run “what if” scenarios right on the screen. This includes a new annuity module that lets advisors model “secure income” and incorporate it into Monte Carlo calculations, and an insurance module that is integrated directly with insurance providers. At the conference, PIEtech founder/CEO Bob Curtis showed how the new Apprise Labs estate and legacy planning module integrates with MoneyGuidePro, giving the company total coverage of all conceivable clients, from those deeply burdened with student loan debt all the way to clients who are trying to figure out how to save their heirs the cost of punitive estate taxes. But more interesting than that was Blocks, which Curtis described and displayed while dressed in a bathrobe—to indicate (I’m guessing) how financial planning can become a service that clients will routinely access in the hours before bedtime or after the morning shower on Sunday. Blocks is the other piece of that trend I alluded to earlier: consumers doing planning on your website. For an additional fee, you can put the Blocks version of MoneyGuide’s planning software behind a prominent button on your home page, so that clients to have access to all the tools that you, yourself are using—while they’re in their bathrobe. Too complicated, you say? Blocks addresses that objection with a very intuitive interface that connects the user with the software’s underlying analytics. This interface looks exactly like the Netflix website: that is, you have rows of blocks running across the screen, but instead of a row of romantic comedy, thriller, horror, etc. flicks, you have a row of blocks that open up analytics around goals, investments, debt—and the debt row has blocks running across the page listed as student loans, credit card debt, a 529 plan to save for a child’s education. A scaled down financial plan can be accessed by clicking on the “Financial Freedom” block—and the page looks just like Netflix, which should be comfortable and familiar to anybody who has ever rummaged around the Netflix site in their bathrobe looking for a movie they haven’t seen yet. Curtis is hoping that the new blocks interface will help financial planners promote the “hard sell” of enticing more consumers to try out planning services, which currently seem complicated and alien to them. Will it work? It depends on adoption, and that isn’t a slam dunk based on what I heard at T3. I talked with a few advisors who said the they weren’t likely to put planning tools on their website because they feel like they’d be giving away their value added. So it will be interesting to see whether the whole idea of allowing prospects to do some of their planning on advisor websites gets traction. As I said, it gets complicated. Let me add one more winner to this category. 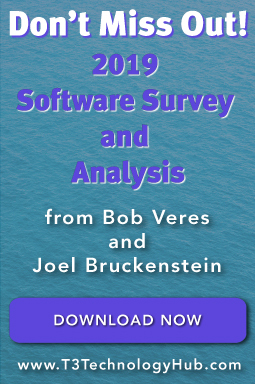 In our annual software survey, the Right Capital planning program now ranks third in market share (behind MoneyGuidePro and eMoney), and sports a high 7.91 user satisfaction rating among its users. In addition to financial planning, the program offers tax planning integrated with retirement distribution planning (and Roth conversion comparison planning), a Social Security optimization tool and the interactivity with clients that advisors increasingly crave—including the ability to compare different plans side-by-side. There’s a client portal feature not unlike eMoney’s, and clients can access their plans by phone. The product can also be used with not-yet-rich clients, with a student loan debt module. The company didn’t change its interface, chase a very small wealthy niche in the marketplace, or downscale its analytics—but that’s the point. Right Capital stuck with the formula that has allowed it to climb up the ladder in a very competitive sector of the marketplace, and is now positioning itself as the software of choice for advisors who believe that financial planning is the core of their value proposition. This is the year Right Capital emerged from the back corner of the exhibit hall into a mainstream mid-hallway location, and the booth was busy throughout the conference. 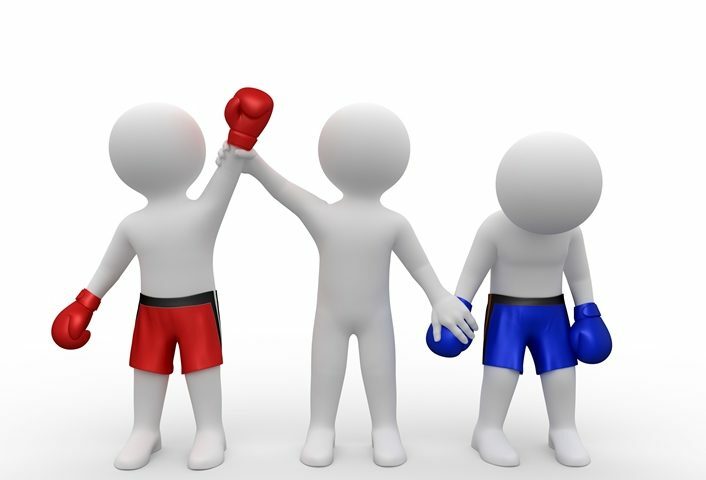 In terms of market share, the Big Two planning programs (eMoney and MoneyGuidePro) could soon become a Big Three. For sheer volume of announcements, Orion would have to be considered the hands-down winner. In addition to the Five-Minute Financial Plan, Orion announced added a new compliance tool (in partnership with the attorneys at MarketCounsel) called Inform. Inform will monitor all securities/investment trades made by a planning firm’s staff (generating a report for the SEC auditor), plus any gifts received and donations provided. Orion has also created a compliance tool called Advisory Fee Benchmark that will let Orion users compare their fee structure with everyone else in the Orion system—which might let them see how defensible their fees would be if challenged by a client in arbitration. Orion also announced a new integration with BizEquity, which lets advisors provide their small business clients with a quick business valuation. And Orion is offering a new integration that would allow advisors to offer credit and identity monitoring to clients. One more announcement: the company is building a two-way arrangement with the XY Planning Network, incorporating XYPN’s AdvicePay software into Orion’s tech suite, making it much easier for advisors to bill clients for one-off project fees or monthly subscription fees (or, basically, anything other than AUM compensation). Orion’s newly-acquired FTJ FundChoice had previously been announced as an outsourced portfolio management solution for XYPN members—with Orion’s rebalancing, tax-trading tools and automated account opening features built in. Turning to another platform provider, Envestnet’s planning-related announcements will almost certainly strengthen its appeal and drive more traffic to its Tamarac rebalancing and CRM tool. And Riskalyze’s emerging suite now offers financial planning services and its own third-party investment platform, called AutoPilot. Speaking of all-in one software, don’t forget the market leader in this space; the Morningstar Advisor Workstation, via acquisitions and upgrades, now integrates research and fund/ETF data with portfolio management and reporting (and ByAllAccounts account aggregation), rebalancing and a planning lite tool that incorporates Monte Carlo projections of retirement sufficiency. Finally, the AdvisorEngine all-in-one program announced an integration with BNY Mellon’s Pershing unit, which means that it will be foregrounded not just to the RIAs affiliated with Pershing Advisor Solutions, but all the reps at all the broker/dealers that clear through Pershing. This could be an enormous pre-emptive strike at gaining market share in a hurry. Add it all up, and the whole idea of an all-in-one solution—given up for dead five years ago—is now suddenly resurgent. And you can understand the appeal. Wouldn’t it be great if, instead of using five or six or ten programs, you could get it all by using just one? The chief beneficiary of this new willingness to consider an all-in-one-solution, in my mind, is Advyzon. Like Right Capital, Advyzon’s booth has moved out of the dark, distant corner of the exhibit hall to the center aisles, and in our recent tech survey, it now ranks fourth in the all-in-one software category, with the highest user satisfaction score (7.48). All-in-one may be a misnomer; Advyzon’s cloud-based program is built around a client portal that can be customized by advisors and clients, with very strong portfolio management and client reporting features integrated with a CRM program and a document management system that can make your office paperless. It comes with a very basic planning program—unless you count planning for your own firm; there’s a business intelligence dashboard that tracks up to 30 performance indicators. Based on the action at Advyzon’s T3 booth this year, I would count Advyzon as a future mainstream software provider—which makes it another conference winner. This raises an interesting question: Does an all-in-one solution have to be one single program? I continue to be intrigued by a company called CircleBlack —another example of a booth that had moved from the back corner to a more prominent location. This may be due to its high user ranking in our software survey (7.41), but I think it’s more about an increasingly appealing business model. The company’s service offer is not to provide software, per se, but to provide better, more seamless integration of your existing software products into one platform—basically creating an all-in-one platform environment out of your chosen programs. There are a couple of insights that came to me at T3 which point to a bright future for CircleBlack and others who choose to become the glue between software solutions rather than the solutions themselves. First is: advisors are constantly looking for the best software programs in each category—CRM, asset management and reporting, financial planning etc. But once they’ve created an all-star lineup, they discover that having the best players on the field doesn’t always mean having the best team. This is the core appeal of the all-in-one programs: building the best team, albeit with a few fewer features than the single-niche programs are offering. The other theme of the conference, which CircleBlack is playing directly into, is that tighter integration and a better overall user interface is no longer about usability, since eventually the staff is going to learn how to use the basic features of the program—at which point all the quirks become second nature. The real benefits are in training—that is, reducing the cost and time of training new staff—and also in a higher utilization rate of the programs themselves. Greater efficiency can be achieved if a company learns to use, say, 80% of a given software’s features, rather than, currently, 65%—and the efficiencies multiply as the firm achieves higher utilization of a higher number of programs. And… since the backoffice staff usually represents the highest source of a planning firm’s turnover, faster training saves time and eliminates costs. CircleBlack reaches long data tentacles into your CRM, trading/performance reporting, billing (but not planning) programs, and then provides a very detailed, well-organized opening screen that lets you see pretty much anything you would want, and drill into any aspect of any of the programs with one or two clicks. CircleBlack becomes your user interface for everything. You can add data directly to the CircleBlack screen and it goes where you want it to—into multiple programs if appropriate. And the company offers a competitive client portal that’s easy to manage. Timeline, a new British company, is a very interesting new tech program that helps advisors create retirement distribution policies, and explore alternatives. It’s built on research that most of us are familiar with: you can illustrate a client’s portfolio decumulation using the Guyton guardrail strategy (where the distributions will be held steady if the portfolio value goes down), or the Kitces ratcheting rule (where the portfolio becomes more aggressive as clients get older), or the Bengen-based 4.5% (or whatever you choose) constant inflation adjustment distribution model. The program even provides links to the research papers authored by these individuals. Pick from a variety of options, and input the client assets and expected lifestyle expenditures (which can be adjusted on the fly) and you see the withdrawal success rate for different inflation-adjusted incomes using different withdrawal strategies out of that portfolio allocation over 20, 25, 30, 35 and 40 years—in graphical format, and compared with a more aggressive or conservative portfolio. What Timeline does NOT (yet) do is identify the lowest possible consistent future tax rate all the way through required minimum distributions. The most sophisticated tax planners keep their clients right on the edge of this ongoing tax rate, and tell their clients how much taxable assets to distribute in pre-RMD years to get right up to filling that marginal tax rate but not going over it—reducing future RMDs and avoiding the higher marginal rates. Of course, I asked about this, and was told that an upgrade is coming. But you can do your future tax rate modeling in Tax Clarity and then use that information in Timeline to create a long-term withdrawal policy. How tax-efficient are your client portfolios, what with assets located in taxable accounts, traditional and Roth IRAs? Chances are you have some idea how to raise the efficiency (like having muni bonds in your taxable portfolios and putting anything throwing out high short term income in the IRA or Roth). But can you quantify the benefits of tax efficiency out into the future, and the dollar benefits of shifts in asset location, based on each current and assumed tax rate? This is the value proposition of LifeYield. LifeYield pulls your client portfolio positions and their cost basis from your custodian and performs an analysis that yields a tax efficiency score, from 0% (let’s hope this isn’t the score of any of your clients) to 100%. The software proposes more efficient asset locations. If you want, the software recommends specific trades to move different assets to different locations to improve the efficiency, , and you can adjust the setting so the program will take into account short-term and long-term capital gains consequences and generally avoid making tax-inefficient trades. The software then calculates the before-and-after after-tax annual returns and total dollar balance of current and proposed portfolios over the next 15 years—so your clients can see the difference and the actual dollar value of your analysis. Meanwhile, a new company called NEXA Insights provides automated client survey (and survey analysis) tools, which analyze the retention risk of each participant, overall scoring and benchmarks. They have a list of questions that have been tested for effectiveness in the healthcare industry, you can add your own questions, and you can hone in on specific clients (the surveys are not anonymous), to identify who’s at risk for leaving. 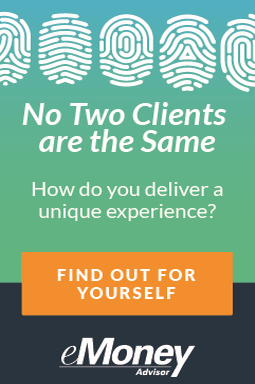 NEXA will even correlate answers with different client characteristics pulled out (typically through an export to a spreadsheet) from your CRM. This was one of the busier booths at T3. 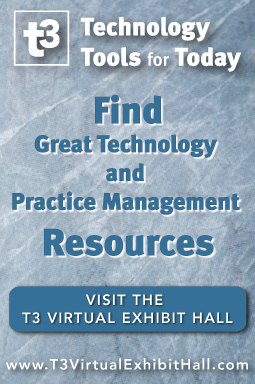 I remember a decade or so ago when much of the T3 attention was focused on document scanners, document management software and sessions that talked about how, procedurally, you could digitize all those paper files you had in those filing cabinets around the office. Old-fashioned paper would become a thing of the past. Welcome to the future! 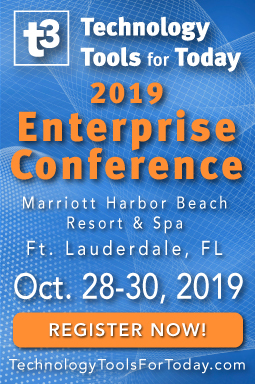 There actually WAS a session at T3 on enterprise content management (high-end document management) with a single case study of a single firm that has adopted Laserfiche. But there was absolutely no buzz about document management, and I got the feeling that the paperless future is still a decade away for many advisory firms. Our software survey results show that just 24.26% of a very big representative sample of advisors are using one of the seven major substitutes for the physical filing cabinet (Redtail Classic Imaging, DocuPace, Laserfiche, NetDocuments, Worlddox, Citrix Sharefile and box.com) and, I suspect the whole momentum for storing client documents in the cloud has stalled. The profession is leaving a lot of potential efficiencies and cost reductions on the table, and the 2019 T3 Advisor Conference did nothing to change that. This isn’t saying that the cybersecurity and cloud hosting firms themselves are losers; in fact, True North Networks and Itegria had two of the busiest booths at the conference, and both earned very high user satisfaction ratings in our software survey. The problem is that not many advisory firms are currently using them (or their competitors), and once again there wasn’t a lot of buzz around cybersecurity. You did hear some background discussion of the new cleverDome concept, which basically puts all computer-to-server interactions between your office and your cloud-based software vendors under a protected space. (The technical term is a “software-defined perimeter.”). But unless you’re using Orion, Redtail and Riskalyze, there still isn’t much under the dome at this time. I got the unfortunate impression, as I talked with T3 advisors, that many firms believe that having virus protection software installed on their office computers is adequate cybersecurity. I hope nobody tells the bad guys. I enjoyed the presentation by Tricia Haskins of Fidelity Institutional, but I honestly don’t see advisors adopting those virtual reality goggles to present complex financial planning issues to their clients—or meeting remotely with them, or any other meaningful business reason to think about virtual reality, at least for the next ten years. And I don’t want to hear every presenter talk about the “promise” of AI applications until I actually see at least one concrete example of AI tech that improves the lives of advisors and clients. Right now, what people are calling artificial intelligence seems to be nothing more than ordinary software connecting more dots a bit faster than it did before. Otherwise, VR and AI seem to be terms that people use when they want you to think they’re right there on the cutting edge. Don’t be fooled. No, that’s not all, but it’s what I think is relevant and important. In the future, I’m going to be writing about Finance Logix founder Oleg Tiskevich’s new venture, called Invent.US, which brings together an international team of programmers to create cloud-native (as opposed to cloud-based) software solutions, and create more effective data feeds (APIs) between programs. And I was intrigued by Chalice Financial Network, created by former LPL executive Derek Bruton, which offers group discounts and access to services, programs and products that would normally only be offered to larger advisory firms or broker/dealers. I plan to explore the implications of Vestmark buying Adhesion Wealth Advisor Solutions, and how this brings new investment capabilities to advisory firms. And the next article in this issue reports on the best presentation of the conference, by Spenser Segal of ActiFi, which showed in detail how “data” can be applied to rapidly enhance a firm’s business value. Finally: 2.46%. On cash. Fully liquid? Really? That’s the highest return MaxMyInterest is currently getting for advisor clients’ cash holdings. I spent some time with Max founder Gary Zimmerman, whose model is pretty simple: your clients hold cash at their bank, and they specify how much they want to retain there. Through MaxMyInterest, they can link up with a series of online banks in seconds using a new AI interface, and any money in that bank account above what the clients want to maintain is automatically swept up into an interest-earning account at one of the online banks, whichever one is offering the highest rate. If there is more than the $250,000 covered by FDIC deposit insurance, Max will then search for the next highest rate and deposit up to $250,000 in that, and so forth. The money will be repositioned every month or at the clients’ discretion, so that the client always gets the highest available rates. What I found interesting (and new) is that Zimmerman says that the account sizes in Max have grown to the point where online banks are now contacting him and offering rates they were previously only offering to preferred institutional customers. 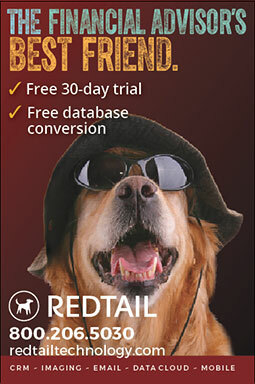 Hence the 2.46% rate, which is very close to the highest 1-year CD rate listed on BankRate.com —except Max is fully liquid and the clients can take their money out at any time. Not everything at T3 has to be complicated.